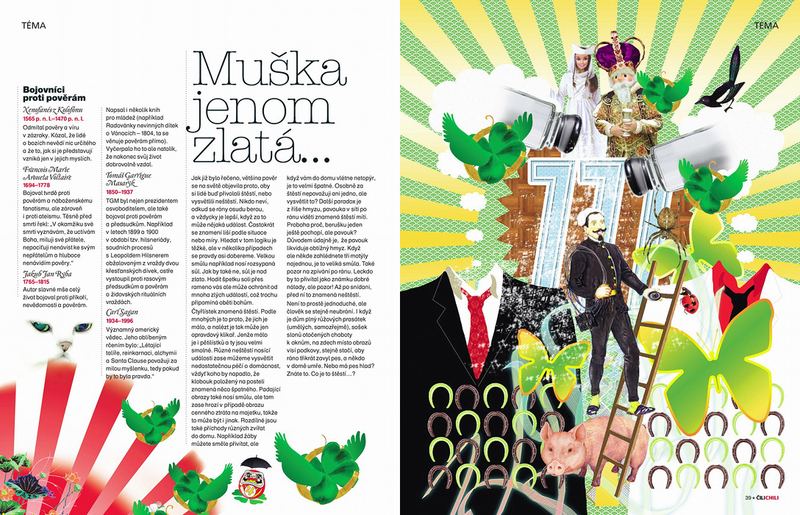 Cover Illustration and three feature illustrations for CILICHILI magazine “Superstitions” issues. 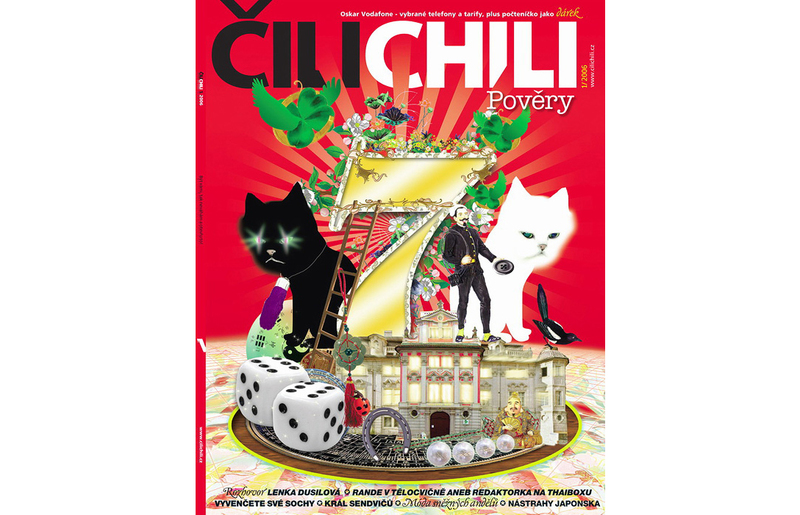 Create a cover illustration that visually says superstition. 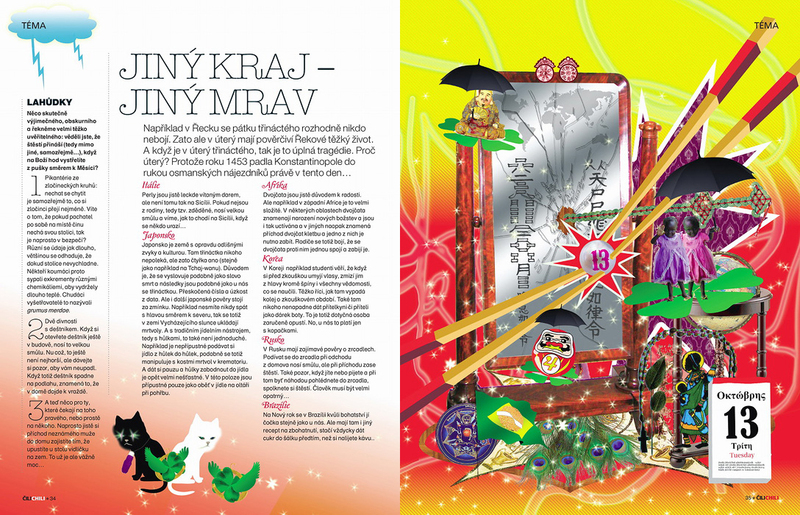 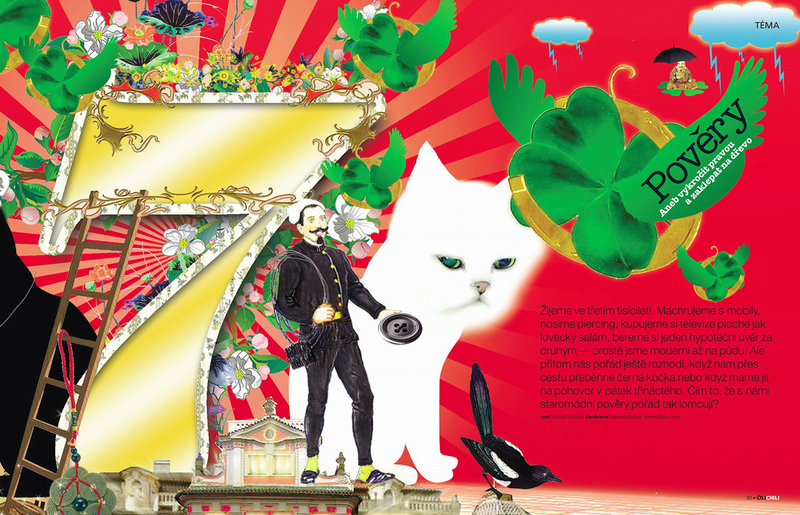 Hence, create three feature illustrations that illustrate three different themes: “Different Country, Different Morals” explores different superstition in different cultures; “Black Cat, White Cat” questions the meaning of white cat and black cat in various societies and “Good Luck, What Is It, Only The Golden Fly” explains the traditional Czech superstitious beliefs.